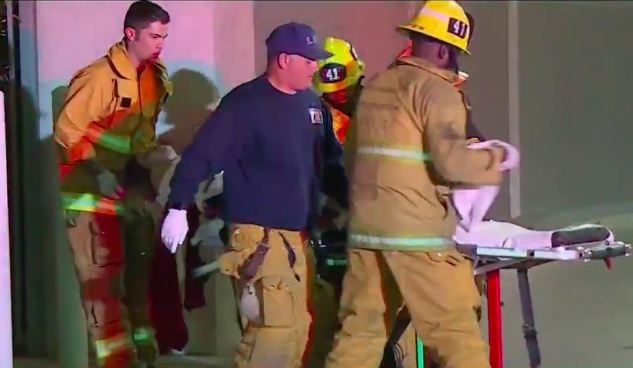 Officials are still investigating what led to a woman falling from a fourth story balcony from a West Hollywood apartment. 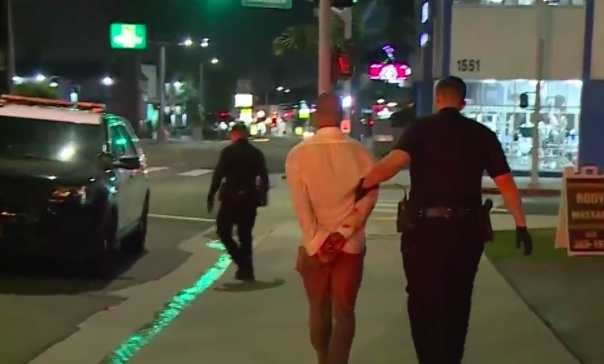 WEST HOLLYWOOD—On Saturday, April 13, at around 2 a.m., a woman fell from the fourth story of the Avenue Hollywood Apartments located at 1619 N La Brea Avenue. The suspect being taken into custody. One subject was taken into custody by police. The individual who has been identified as a male, had visible blood on his shirt. Authorities have not confirmed if foul play was involved in the fall. Firefighters sawed a gate to reach the woman and provide her with immediate care. The victim is being treated in a local hospital and sustained a fractured arm as a result of the fall. Authorities are still investigating the cause of the fall.